"Peter and the Starcatcher" ensemble under starlight. On any given day, the world of Broadway wheelin’ and dealin’ feels pretty far away from St. Louis, Missouri. Not so for author Ridley Pearson, who makes his home here. As the co-author of the popular series “Peter and the Starcatchers” with writer Dave Barry, Pearson has been involved in that world as his book has been adapted for the Broadway stage. In the mid-2000s, Disney Theatrical Productions, the play producing arm of the media powerhouse, adapted the prequel to “Peter Pan” with the help of writer Rick Elice and called it “Peter and the Starcatcher.” The play was performed on Broadway from 2012 to 2013 and then toured the country—that’s when it first came to St. Louis. Now, the play will now be performed by The Repertory Theatre of St. Louis for almost a month, from December 2 to December 27. Pearson, a long-time patron of the theatre could not be more excited to see his work come to the St. Louis stage. Mischief? Flying cats? Best-selling St. Louis author Ridley Pearson talks about taking his book "Peter and the Starcatchers" from novel to play as The Repertory Theatre of St. Louis performs "Peter and the Starcatcher." The story was incepted when Pearson’s daughter asked him “How did Peter meet Captain Hook?” With no viable answer in hand, Pearson went off to write the book. Although the story is functionally a prequel to “Peter Pan,” the story is actually quite original. As Pearson describes it, the books follow an entire society of “starcatchers” who grab meteors that fall to earth and possess a certain charming substance. 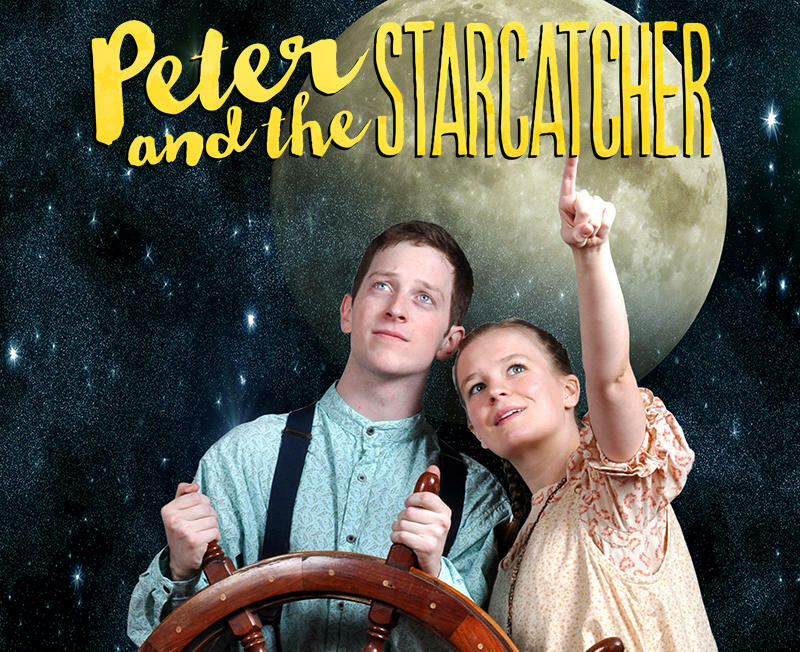 The play differs from the books because, instead of focusing on the entire swath of starcatchers, it focuses on two—Peter and Molly. While the story does go into the back story of Peter Pan, both Pearson and The Rep’s artistic director Steve Woolf, want people to know this story isn’t for kids. In fact, it is recommended for those ages 12 and up. You can, however, expect a bit of whimsy—there’s a chest of “star stuff,” pirates, dancing mermaids, mischief and even flying cats. Fun music is also incorporated into the production. The St. Louis Theater Circle, a group of local theater critics, released its 2015 award nominees on Friday. St. Louis middle and high school students will learn modern day lessons via an age-old tale this school year. A tale told not by an idiot, and one signifying much more than sound and fury. St. Louis author Ridley Pearson is no stranger to the New York Times Bestseller List. But in writing his books (of which there are many) he aspires to more than popularity. “I try to always put a social issue under my novels without getting on a soap box so that when you end my novel there’s also something you want to go Google or go learn about,” said Pearson. By introducing his readers to social issues such as poaching or the illegal art trade, he hopes he inspires his readers to get involved, talk to their senators or donate money to a good cause.